During my time interning at the Dali Museum, I have worked with the Events Department there to help coordinate and create Museum-hosted and private events. 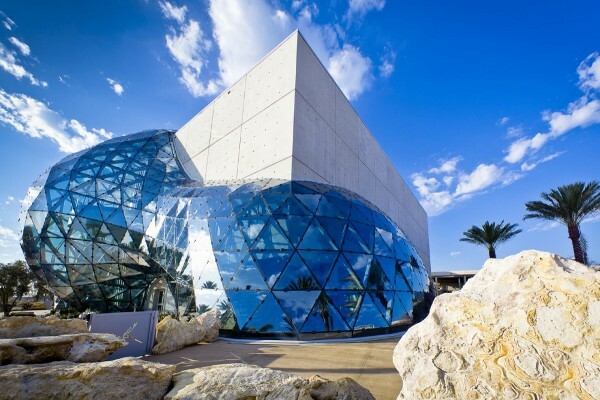 These events are important because they help bring out new faces to the Museum, especially those local to the area who have been interested in going to the Dali but have not gotten a chance to do so yet. The Events Department creates a variety of events, including weddings, social and corporate functions, free movies, musical performances, academic lectures, and even yoga classes on Sundays. My role at the Dali has been to aid the Events Department in preparing for events and making sure the events run smoothly, as well as learning the hospitality aspect of making sure the client is happy with the Dali as a venue and its services. This includes everything from frantically carrying plates and placeholders inside when a wedding was rained on, to bartending. There is also the ”paperwork” aspect to event planning, which involves making sure the vendors, clientele, museum, and the city of St. Petersburg all complete the necessary forms for an event to be hosted. This is obviously just as important as the physical execution of an event, because the Dali is otherwise legally and financially responsible for just about everything unless otherwise said so. I have learned so much about museum management and event planning from this internship, as well as general practical skills like how to interact with others in a professional environment and conflict resolution. I definitely recommend the opportunity to others.